A new "Festival for Club Culture" is coming to Vienna this May, with sets from Jlin, Carla del Forno, Princess Nokia, Keiji Haino / Merzbow / Balázs Pándi and the world premiere of Holly Herndon’s new show all featured amongst the lineup. Titled HYPERREALITY, the event forms a new part of the Wiener Festwochen, a performance festival first established in the Austrian capital back in the 1950s. This new iteration of the festival however, has been assembled by a fresh new curatorial team. Scheduling "four nights of experimental electronic music in the context of global club cultures", HYPERREALITY aims to create a "paradigm-free space of possibilities" for four busy days of music, actively programming artists from across spectrums of gender, sexuality and race. Besides the sets from groundbreaking Chicago footwork artist Jlin and experimental NYC rapper Princess Nokia, artists from further afield are due, such as South Africa Gqom outfits Mafia Boyz SA (in their European debut no less) and FAKA, Jamaican duo Equiknoxx, and Chilean reggaeton artist Tomasa Del Real. Aside from exploratory club music, HYPERREALITY is also hosting Blackest Ever Black keystones Tropic of Cancer and Carla Del Forno, a multimedia show by RVNG Intl.’s Visible Cloaks, Haino/Merzbow/Pándi’s noise juggernaut, and recent Editions Mego signee Jung an Tagen. 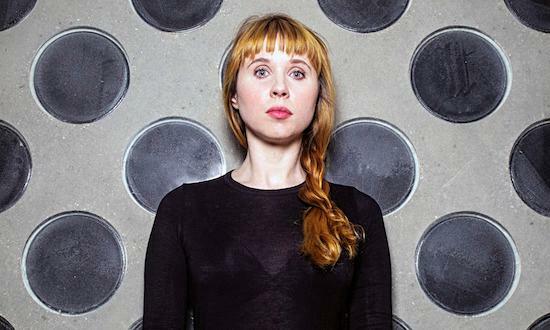 Holly Herndon’s new live show - prepared for her next album, to be released later this year - will take in long term collaborator Mat Dryhurst, performer Colin Self, plus a choir. Several more artists and showcases are yet to be announced.